31st August 1916, aged 30. Son of Richard and Eliza Baker of High St. Camelford, Cornwall and Husband of Ellen Baker. Extract taken from the Cornish & Devon Post dated 9th September 1916. News has been received this week that Driver F. Baker of the R.F.A. has been killed in action, the first Camelfordian to have fallen in the fight. He was the son of Mr. Richard and Eliza Baker of High St. and was in the army for some years before the present hostilities commenced. He landed in France nine days after the declaration of the war. 33 years of age he leaves a wife and two boys in Ireland and his relatives in Camelford where he bore a good character and respected, much sympathy is expressed. Panel 199 or 233 to 236 and 331. The 18th Labour Company of the Army Service Corps was en route to Mudros on the Isle of Lemnos when the troopship “Royal Edward” was sunk by a German torpedo on the 13/08/1915. The Royal Edward had set sail from Avonmouth and made her first landfill at Alexandria, where she collected fresh supplies and more troops. As she picked her way through the Dodecanese Islands she was attacked by a U-14 and sank, with great loss of life, six miles west of Kandelioussa Island in the gulf of Kos. The majority of the 18th Labour Company was from Cornwall. Most of the men died when the ship sank and their bodies never found. Others survived the sinking only to die from the effects of exposure or from wounds a few days later. In a very few cases bodies were recovered by allied ships and taken to Alexandria for burial. Some men came through the ordeal only to die at Gallipoli a few months later. Extract taken from the Cornish and Devon Post dated 8th September 1917. Mr & Mrs Burnard of Tregoodwell, Camelford have received the sad news of the death of their eldest son, Stoker Petty Officer Matthew R.D. Burnard, killed in action on one of H.M. ships last month. As a youth he was employed at the North Cornwall China Clay works which he left nearly nine years since, on attaining the age of 18 years, to join the navy. For some weeks he fought through the Jutland Battle. Mr Burnard was 26 years of age and was only married in March last to the daughter of Mr. W. Stott of Boscastle. The young widow resides at Teignmouth. Mr & Mrs Burnard had also one nephew killed in action at Salonika and another died of wounds in France. They have one son-in-law and six nephews still serving with the colours. Much sympathy has been expressed with the family in the death of Stoker Matt Burnard, a typical sailor, who possessed many excellent qualities. ​12th November 1918, aged 29. Son of John Colwill of Victoria Road, Camelford and Husband of Catherine Derry nee Couch of St Tudy, Cornwall. Alfred John Colwill was a Motor Mechanic in Okehampton in Devon before he enlisted. 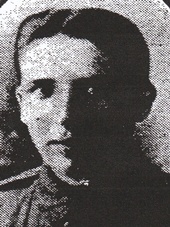 He joined the Army Service Corps on the 18/02/1916 and arrived in Rouen in France on 15/08/1916. He married Catherine Derry Couch just prior to his arrival in France. He was taken ill with Spanish Flu on the 08/11/1918 and died four days later. 22nd January 1917, aged 25. Extract taken from the Cornish & Devon Post on the 24th February 1917. Further particulars are to hand regarding the death of Pte. T. Coombe of Camelford, killed in action on Jan 22nd, whose portrait we reproduce. This young man was 25 years of age in May last. After being employed by Mr. W. S. Ward of Greylake Camelford as an agricultural workman he emigrated to Canada in April 1912 and enlisted in the Canadian Army on May 17th 1915. The chaplain in his letter to the relatives at Camelford states that he met his death instantaneously owing to the explosion of a shell and while at the post of duty. Two officers attended his burial service on January 24th. The popularity which Pte. T. Coombe enjoyed among his comrades in the army was only equaled by that he merited and received among his associates in his native district. He was an industrious youth of good principles and much regret has been expressed at his death. His only two brothers are serving, one in the Army and one in the Navy. 21st March 1918, aged 28. Was listed on the Irish Memorial Records as having been killed in action on the 21st March 1918. He was born in 1889 at Lanteglos-by-Camelford. His parents were John Henry Couch and Elizabeth Couch nee Hayne who died in 1899. He worked as a Farm Labourer on a farm near St. Breward and married Edith Stephens in 1915. 28th March 1918, aged 20. Son of Mary Ann Couch, 1 Hendra Cottages, Western Road, Launceston, Cornwall. Thomas was born in 1898 at Delabole in Cornwall and was in residence in Camelford in 1911 where he was attending school. His Mother Mary Ann had remarried to Robert Couch. Extract taken from the Cornish & Devon Post on 3rd March 1917. Private George Ellacott of Camelford has died in hospital following an operation. Before enlistment he was employed at the clay works. He leaves behind a widow and four young children. His father was an agriculturist who lives in Boynton. 22nd March 1918, aged 21. Son of Mrs Phillippa Hawke of Highertown Advent Cornwall. 10th May 1917, aged 22. Son of Trevossa Hawke of Victoria Road, Camelford, Cornwall. Extract taken from the Cornish & Devon Post dated 19th May 1917. Mr & Mrs T. Hawke, Victoria Road have received official intimation of the death of their elder son, Pte. W. Hawke, 22 years of age at the front. He was a young man everybody liked, respectful, industrious and unassuming. With the Fore St. Methodist Church he was closely identified. 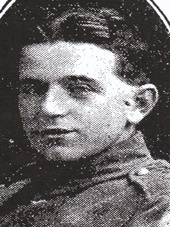 In October 1914, he enlisted in the Yeomanry, was transferred to the infantry and drafted across in December last. Sampson Edwin Jasper M. M.
30th August 1918, aged 26. Son of Richard and Elizabeth Jasper. Extract taken form the Cornish & Devon Post on 28th August 1919. In loving memory of S.E. (Ned) Jasper of High St. Camelford, killed in action in France on 30th August 1918. From his loving wife Theresa, Freddie, Mother, Father, Sisters and Brothers. Extract taken from the Cornish & Devon Post dated 13th April 1918. Mr and Mrs E. Keast, of Watergate Camelford, have received the sad intelligence that their son Private Percy Keast was killed in action on March 25th. Prior to enlistment in October 1915, he was employed at the North Cornwall China Clay Works. A steady and promising young man, he was held in high esteem by his associates. Letters have been received from the Wesleyan chaplain stating that Private Keast died from a severe wound. He had known the young man for a good while and was sure he was a good lad. He was in no pain, felt very comfortable and gratefully responded to the prayers offered at his bedside. The body was laid to rest and the spot marked. Then the chaplain, with all the wounded who could walk, had to take the road and got clear just in time to avoid capture. The chaplain regretted to say that the ground where the young man lies is now in German hands. Mr & Mrs Keast and the other relatives have the sympathy of one and all in their great loss. Husband of Hilda M. Lewis nee Martin of Fore St. Camelford Cornwall. Extract taken from the Cornish and Devon Post. Delabolians heard with regret that Pte. Bert Lewis, admitted to hospital on the 23rd of April died on the 26th. He was struck by shrapnel in the right shoulder and the metal penetrated the lung. A chemist’s assistant at Camelford, he enlisted in May of last year and was drafted to France in July where he has been usefully employed with a Lewis gun section. Intelligent and plucky, he gave a good account of himself and with all his associates he was very popular. His mother resides near Delabole. With her and the deceased soldiers wife left with one child, the utmost sympathy is expressed. 26th October 1917, aged 21. Son of Mr J and Mrs L A Richards of Tregoodwell, Camelford, Cornwall. 4th August 1918, aged 38. Son of Charles Richards of Newhall Green, Delabole. 13th November 1918, aged 23. Son of Elizabeth Sandercock of Aldermoor Advent. Extract from the Cornish & Devon on the 23rd November 1918. 8th August 1918, aged 23. Plot 5. Row B. Grave 11. Son of William and Kate Short of Camelford Cornwall. Extract taken from the Cornish & Devon Post on the 24th August 1918. Camelford deeply sympathises with Mr William Short, monumental mason, and Mrs Short in the death through enemy action on August 8th, of their second son Private Leonard Short aged 23 years. When war broke out he was with the Territorials in camp and was drafted to France three years ago last May. Through all the experiences of that long period he passed unscathed but a fortnight ago since when sleeping in a shelter, the building was struck by a heavy shell and he was killed instantly. A bright, willing and intelligent youth, he was very popular among his associates and respected by all. As Private Short was a member of the Wesleyan Church and his family are closely associated with that place of worship, the pulpit on Sunday was draped in black. 7th September 1917, aged 39. 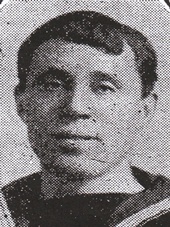 Son of Henry and Mary Jane Stephens. 13th July 1917, aged 23. Son of Joseph and Bessie Tabb of Tregoodwell Camelford Cornwall. Extract taken from the Cornish & Devon Post dated 22nd September 1917. 7th December 1916, aged 19. Son of Joseph and Bessie Tabb Tregoodwell Camelford Cornwall. Extract taken from the Cornish & Devon Post on the 27th January 1917. 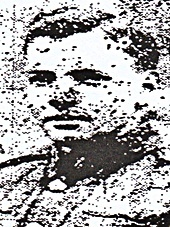 Private R. Tabb, son of Mr. Henry Tabb Tregoodwell, is the second Camelfordian to make the supreme sacrifice. 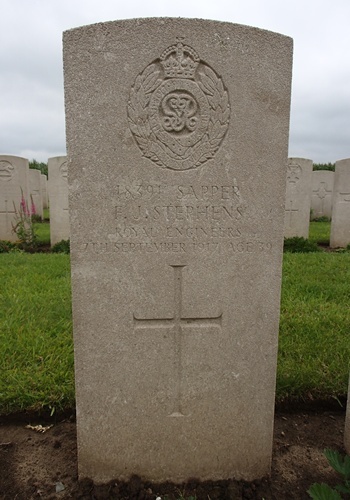 Captain Blamey, the officer commanding, has written an appreciatory letter of the young man’s conduct to the parents, in which he stated: “He was in the front firing line and was unfortunately struck in the head by a Turkish bullet, dying immediately. You will, I am sure feel proud that your son died whilst doing his duty nobly for his King and Country. We were in a tight fix and had it not been for the gallantry of your son and his comrades there might have been a far different tale. Since he has been here he has proved himself a soldier of sterling merit; a splendid worker, full of pluck, always ready to take on tasks when called for men of courage and endurance. On behalf of my brother officers, the N.C.O’s and men of his company I should like to express our deepest regret at the loss of your son and offer you our sincerest sympathies. At the age of 17, Private R. Tabb, then employed at the Stannon Clay Works, enlisted just over two years since and after being drafted to India volunteered for service in Aden. Mr. Tabb has two other sons serving. 8th May 1917, aged 43. Son of William and Mary Thomas of Downing St. Bodmin and Husband of Annie Thomas of the White Hart Temperance Hotel Camelford Cornwall. A chum conveyed to Mrs Fred Thomas, Fore St., the sad intelligence that her husband, Lance Corporal Thomas has been killed in action. He was a native of Bodmin where his parents still reside. He served through the South African War, receiving two medals with five bars, and when the present hostilities commenced gave up his employment as a mason and responded to the call. For two years and five months he had been in the thick of the fighting, only coming home once. A fine specimen of the British soldier, he possessed plenty of mettle and had numerous narrow escapes and carried through many daring exploits, for one he received the Military Medal. He was 42 years of age and Camelford was proud of this plucky and seasoned soldier, much regret being expressed by the townsfolk generally on hearing that he has made the supreme sacrifice. The widow’s three sons are on active service. 29th October 1918, aged 20. Plot 2. Row A. Grave 8. Son of John Trehane and Mary Whale, of Altarnun, Cornwall. 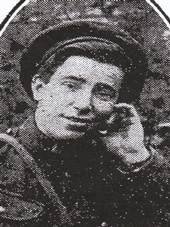 Private George Whale, according to the Cornwall’s War History website, was born at Altarnun in 1898, and enlisted at Bodmin. He was sent to the Hampshire Regiment, with the Regimental Number 34059, and then at some point transferred to the Ox & Bucks, with the Regimental Number 33547. The Medal Roll shows both these numbers, and he too was awarded the British War Medal and the Victory Medal. Cornwall’s War History website says that his name appears on the War Memorials at Altarnun, Camelford and Lanteglos by Camelford (with the spelling WALE). 29th October 1917, aged 32. Husband of Phoebe Webber, of High St., Camelford, Cornwall. Charles Webber enlisted with the Duke of Cornwall Light Infantry on the 14/09/1915 and transferred to the Labour Corps on the 15/08/1916. He arrived in France on the 02/11/1916 and was wounded on the 27/10/1917 from an airbomb, which resulted in damage to his skull and brain, lower jaw left arm and left leg. He was treated at Malo-les-Bains hospital near Dunkerque where he died two days later. He left behind his wife Phoebe Webber nee Wilkins and a daughter Rhoda May. His parents Richard and Elizabeth Webber lived at Poldue farm in Advent Cornwall. 31st October 1918, aged 21. Son of William Henry and Keturah Jane Welch of Stepps Advent Cornwall. Extract taken from the Cornish & Devon Post dated 30th November 1918. We produce above a portrait of Private F. H. Welch, D.C.L.I., second son of Mr & Mrs W. H. Welch of Advent, Camelford whose death in India from influenza at the age of 21 years we recorded last week. A bright and cheerful boy, he was beloved by all who new him. Private Welch enlisted in 1914 and had been in India nearly two years. An elder brother is in India and another is serving this country. The bereaved family called upon to mourn the loss of an excellent son have the sympathy of one and all.